← Homeschooling sick days do exist !! Both the kids love baking with me. It has actually gotten to the stage that I am no longer allowed to bake anything by myself, as soon as I start getting a mixing bowl out one of them will go and fetch their step so they can reach the counter top and join in. We first started off baking with Pink as a way of making food less intimidating. We first used lots of baking mixes and just got her to mix everything together and help me spoon the mixture into muffin trays. This very quickly became a favourite activity for her and we went on to try “real recipes”. Pink has a very high sensitivity to touch and finds normal things like rain painful so we have tried to choose recipes where she needs to really use her hands. This does mean that sometimes she gets overwhelmed and I need to finish the baking but she always participates and always has a taste at the end. 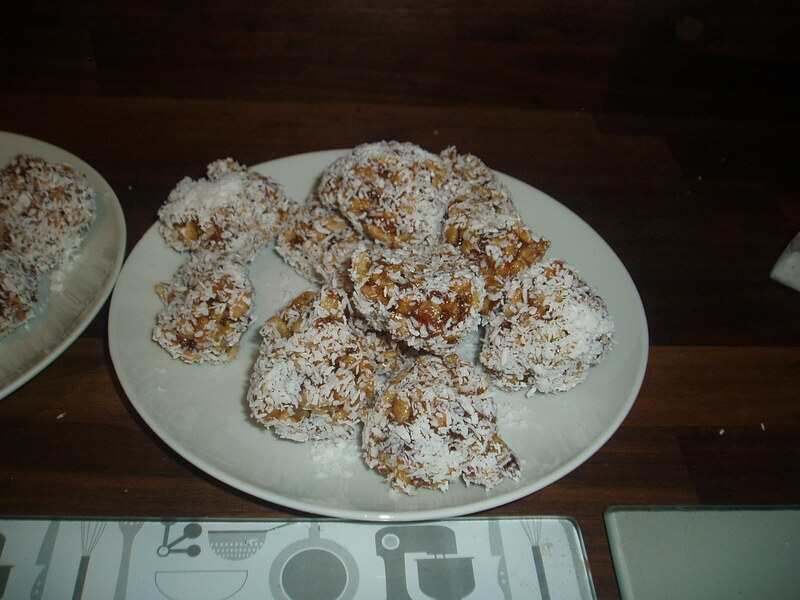 One of our favourite recipes to make (apart from the naturally obvious cup cakes ) are these date balls. Both Kids love helping me to measure out all the ingredients and it is such a wonderful opportunity to discuss whole verses half and other quantities. (After we had finished baking the kids took the measuring cups and had great fun filling the different size cups with different beads and buttons). The first time we tried these she was very reluctant to use her hands to role the sticky mixture but now she will happily roll about 5 or 6 date balls before rushing off to eat one of them. And the big bonus is the parents end up with something yummy to much on. 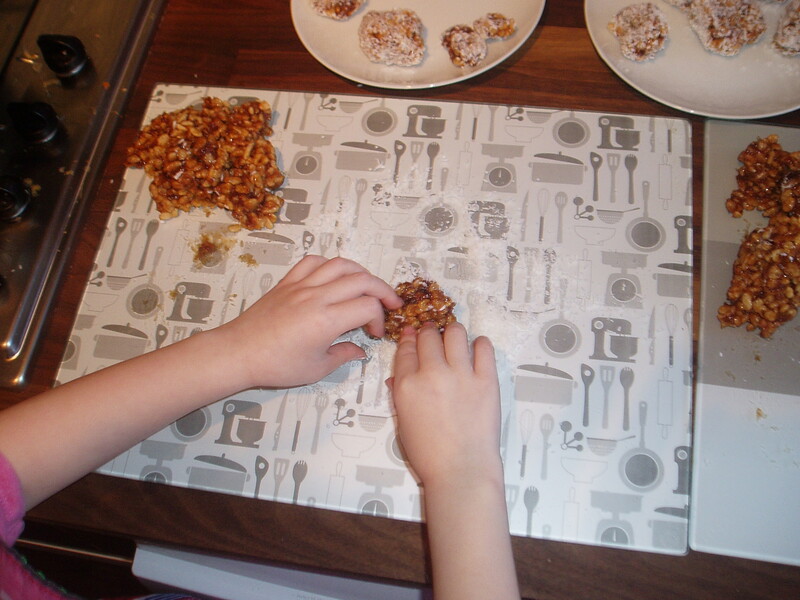 This entry was posted in Baking with Kids and tagged sensory play. Bookmark the permalink.